Generally speaking, the pattern of an upgrade in the Rolex product line starts with the solid gold version and followed by the Rolesor ( steel/gold in Rolex lingo ) and ends up with the stainless steel. 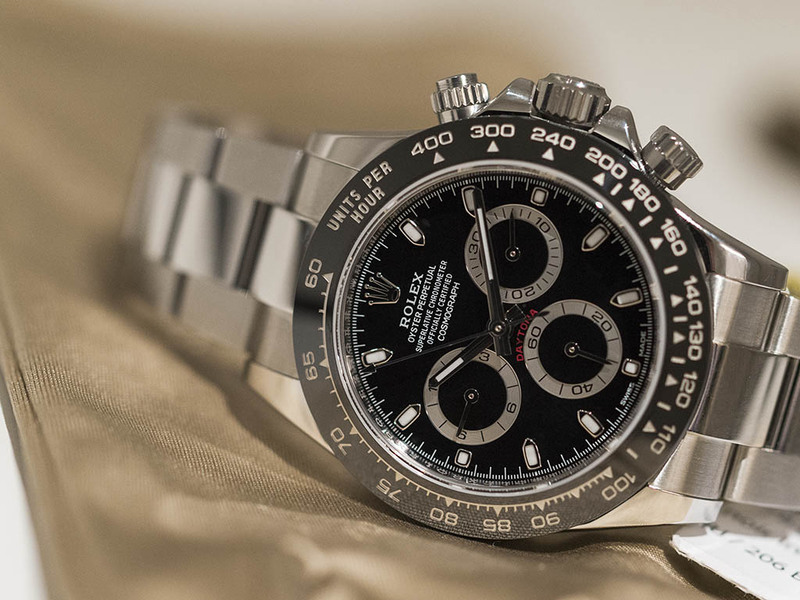 Considering the upgrade of the bezel material ( and the design as well ) is such an important move for Rolex, the priority given to the all stainless steel version is a little weird but also a very pleasing decision as we practically have a refined version of the most versatile model in the Daytona family. The case is the same with the recently discontinued model Ref. 116520. Why mess with the perfection, right..? The 40mm case sports 904L grade stainless steel and offers an un-matched wearing comfort thanks to its cleverly designed form. The most significant upgrade is the bezel material which is now Cerachrom. Rolex patented ceramic alloy provides excellent scratch resistant thanks to its hard structure and allows the most prone to aging part of the watch stay in the brand new condition forever. In the previous stainless steel version, the engravings on the bezel are different from the ones in the solid gold models. Now, the stainless steel version bears the same font and other details with the solid gold versions. 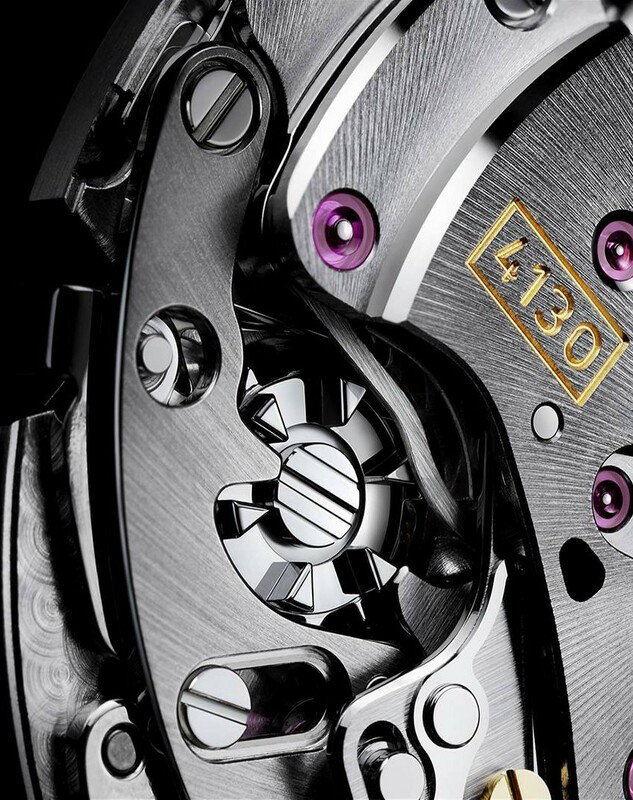 The engravings on the bezel are formed under great pressure and temperature. Then they are filled with platinum making a virtually indestructible piece. The only problem is about the extremely hard structure of the Cerachrom as a very hard impact may practically break the bezel in to pieces. Personally speaking, I like the new Cerachrom bezel very successful in terms of both aesthetics and technology. 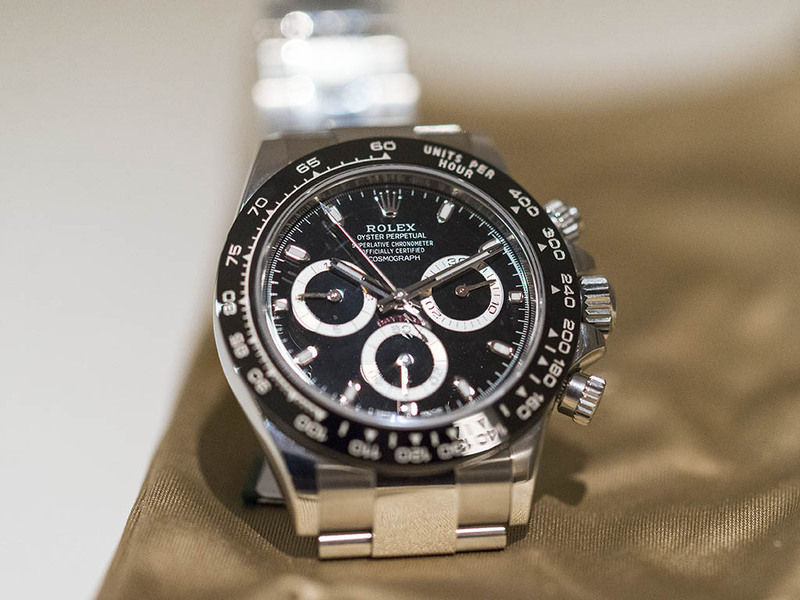 Rolex Daytona 116500 LN will be offered in two dial color options as black and white. The black version sports the silver chapter rings in the sub dials like the previous version. White dial version features black chapter rings which reminds me of 70s versions which are called Paul Newman Daytona by the fellow fans of Rolex. I believe the white version will be a tad popular than the black one due to this slight but important upgrade. We have the classic Daytona inscription in red which is a cool detail. The indices and the hands are made of white gold and filled with Rolex’s patented luminous material Chromalight which is one of the best luminous materials in the watch industry known with its impressive luminescence duration. 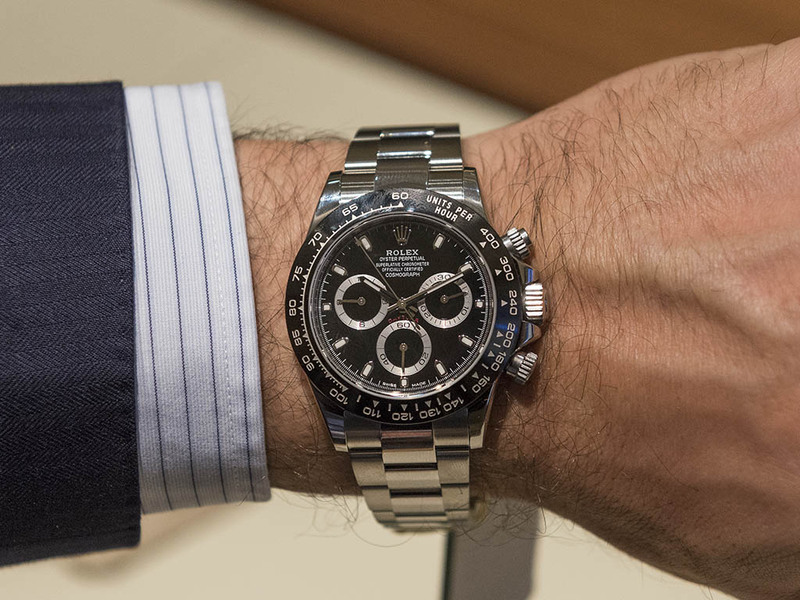 The new Daytona sports a flat sapphire crystal on the front side with a slight height over the bezel. 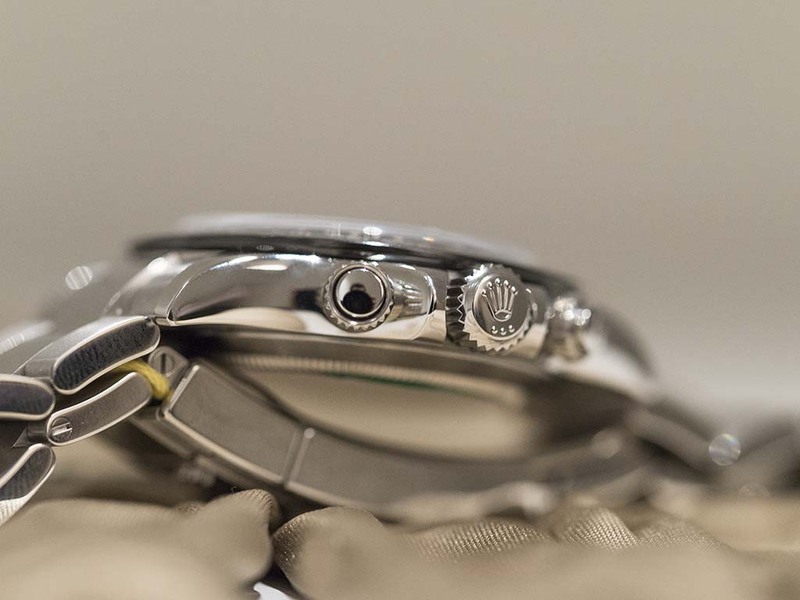 As a Rolex classic, the crystal features no AR coating. The case back is solid with no engravings at all. The watch features a Triplock winding crown and a set of screw down pusher which helps to get the WR100M rating which is quite efficient for a sports chronograph. 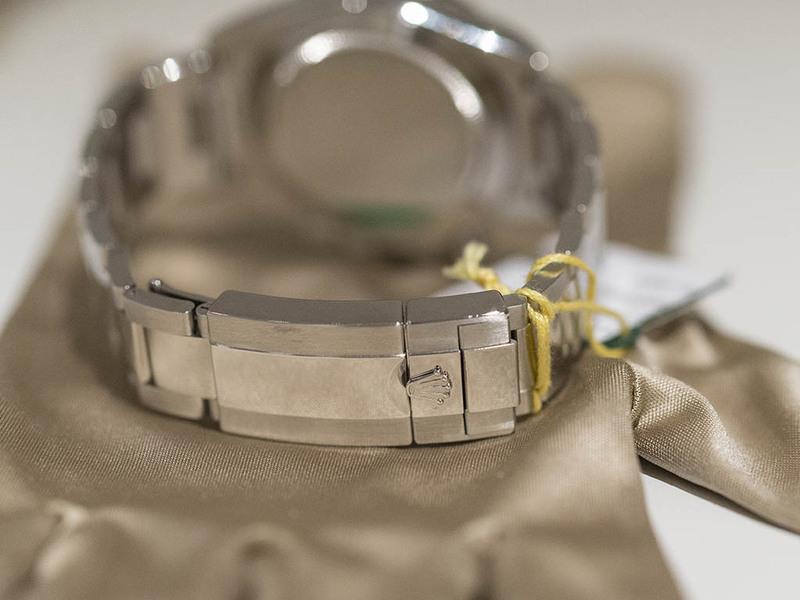 The bracelet is made of 904L grade stainless steel like the previous version. The center links are polished and the outer links are satin brushed with mirror polishing on the sides. The bracelet features the Rolex patented folding clasp which is a state of the art design strongly supporting the silky smooth wrist comfort. The clasp also sports a micro-adjustment feature with a 5mm extension. Rolex is an exceptional brand aiming and obtaining the technical perfection too besides the aesthetics. The fully in-house manufactured Caliber 4030 may not win a beauty contest among other major brands’ movements but, it is considered to be one of the most successful automatic chronographs ever made. Double direction winding motor rotates so smoothly in the case that you may actually need a stethoscope to hear it. The movement beats at 28800vph and offers 72h power reserve on fully wound and chronograph not working condition. 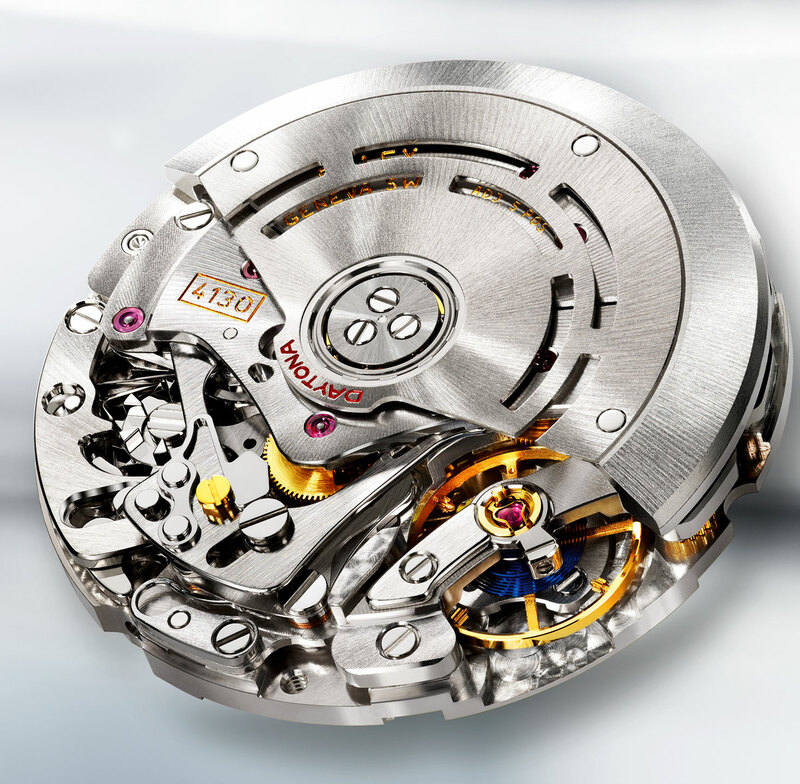 Above all, Rolex exceeds the standards of COSC with its new movements and employs its own specifications approving an impressive +2/-2 per day tolerance. 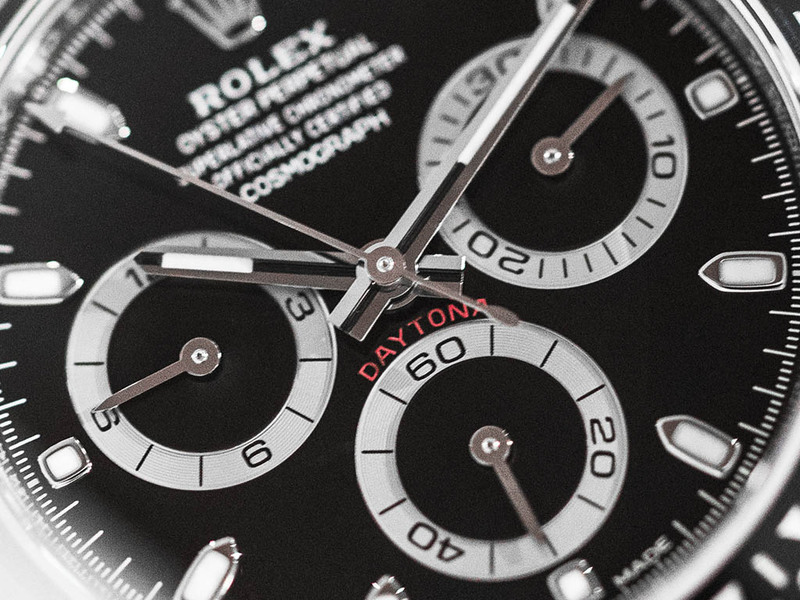 There were many urban legends about the previous stainless steel version Daytona. Undoubtedly, the most popular one was about the more than a year waiting list at the retailers. 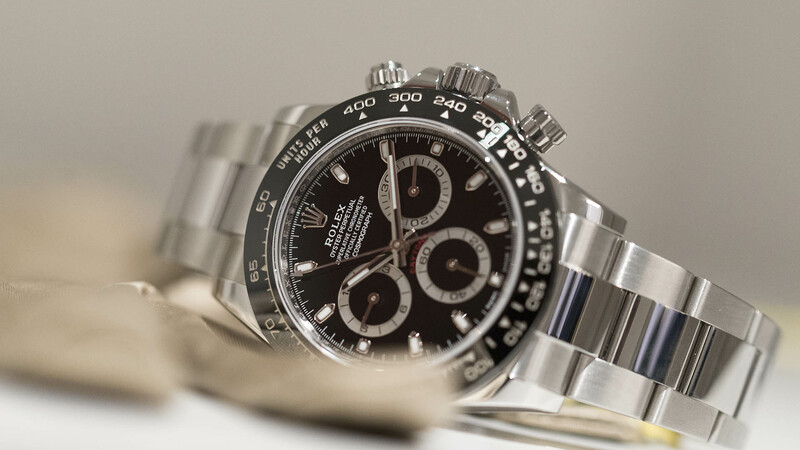 Though the recent versions have softened this situation effectively, a stainless steel Daytona has never been a watch that sits on a store window in bulk. As it seems, we may have the same issue with the new version as well as the retailers already started to have long waiting lists. 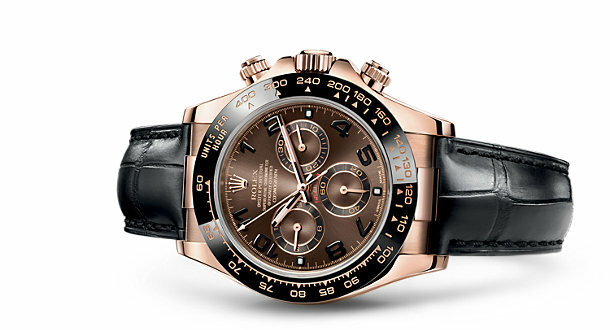 Rolex Daytona 116500 LN will be available with a price tag of 11300 EUR through the authorized retailers around the globe, irrespectively of the dial color. The 400 EUR price increase seems quite fair considering the brand and the model. For those who want to get one, should better be quick and get his/her name on the list. Let us remind you that all new Rolex models are now being presented with a 5 year warranty. 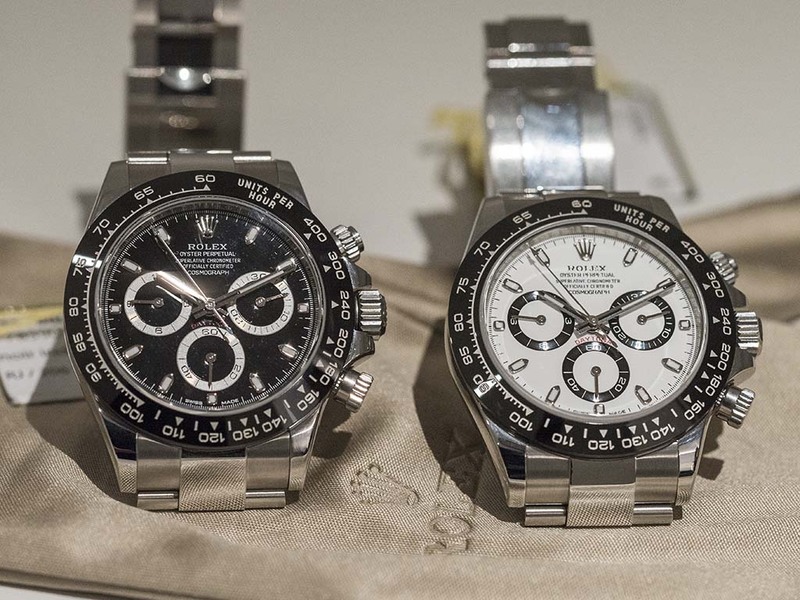 For some watch enthusiast, the world of watches is divided in to two; Rolex and the others… Though it’s clearly an aggressive attitude, it’s not required to be a watch expert to embrace the effect of the Rolex Crown logo. A perfect form, flawless functions, unquestionable prestige and utmost quality. In fact, almost every single parameter expected from a luxury sports chronograph watch is check marked with Rolex Daytona 116500 LN. I am forcing myself to find a negative side of the watch but all I can come up with is the lack of the date display. I use the date function on my watches in my daily routine and I might be happier with a Daytona Date but, clearly it will ruin the uniform look of the dial which Rolex stays away from compromising it by adding a date window. I might have slight changes in my wrist size depending on the extreme variations of the climate like everyone therefore, I might think of a Glidelock clasp ( like the Submariner’s ) instead of a Easylink one to have a more efficient micro-adjustment extension however, this will actually make the clasp longer and possibly less comfortable than the Easylink. As a final one, the crystal can at least be AR coated on the inner side to avoid mirror like reflections on certain angles but the very same coating may block the glittering beauty of the dial this time. 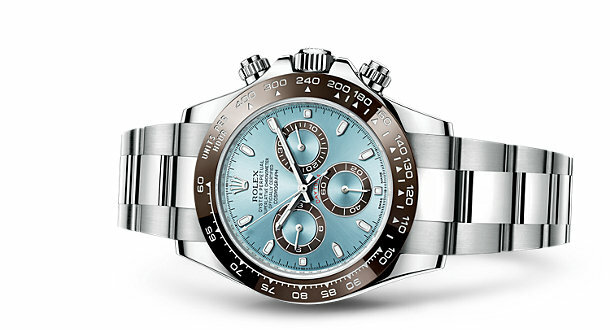 At the end of the day, Rolex Daytona 116500 LN seems to be the ultimate luxury stainless steel sports chronograph watch in with its price, features and more importantly utmost quality. The only problem is to GET the watch due to the high demand and long waiting lists.